ICC World Cup 2019 is scheduled to begin from May 30 and it will last till July 14, 2019. The World Cup will take place in England and Wales. Australia and New Zealand cricket teams had already announced their 15 members squad for Cricket World Cup 2019. Let us find out details on live streaming of press conference of selectors for the announcement of Indian Cricket team for World Cup 2019. India Squad for ICC Cricket World Cup 2019 to Be Announced Today: KL Rahul Could Find a Place in the Team; Rishabh Pant, Dinesh Karthik Might Miss Out. While most of the Indian players have confirmed their spot for ICC World Cup, 2019, there are few players whose selection will give tough time to selectors. Previously, a few months back MS Dhoni presence for World Cup 2019 became doubtful when Rishabh Pant started playing well for India. However, Mahi gave the answers by his bat as he batted brilliantly for India in a home away series against India and New Zealand and thereby confirmed his spot for ICC World Cup,2019. The Board of Control for Cricket in India (BCCI) selection committee will find it difficult to decide on the number 4 batting position. They will have to select one from KL Rahul, Rishabh Pant, Ambati Rayadu and Dinesh Karthik. ICC Cricket World Cup 2019 Schedule in PDF: Ticket Prices, Dates, Venue Details & Timetable Available for Download Online. The Indian team squad announcement for the cricket world cup 2019 will broadcast on Monday, April 15, 2019, from 3:30 pm onwards. The selection committee meeting will take place in Mumbai. Where to Watch the Live Telecast of Indian Team Squad Announcement for ICC World Cup 2019? 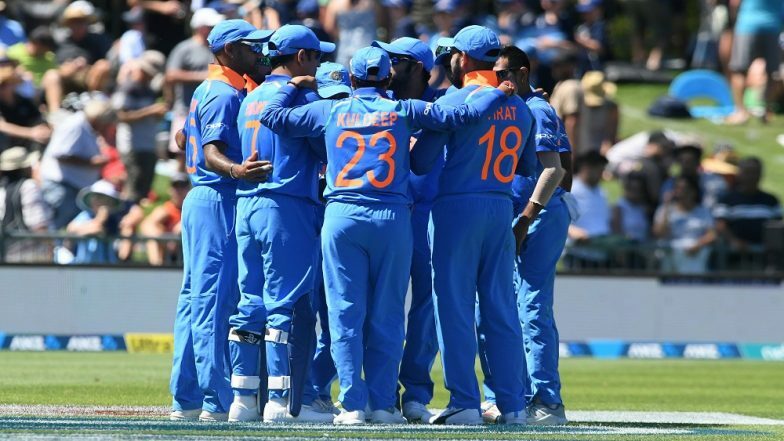 Where to Watch Free Online Live Streaming of Indian Team Selection for Cricket World Cup 2019? Indian cricket team squad announcement for the world cup 2019 live streaming will be available on Hotstar. For live minute by minute updates on news related to Indian cricket team selection for World Cup 2019 click here!